The Fright Night Theatre Film Festival is proud to unveil our official 2017 festival poster, designed by Shawn Hopkins. Reflecting our roots as Hamilton, Ontario's only annual film festival dedicated to Horror, Cult, and Exploitation films, we've put the historic Gore Park Fountain front and center in this year's poster, with a tentacle twist that pays homage to the silly and scary creature features we love. 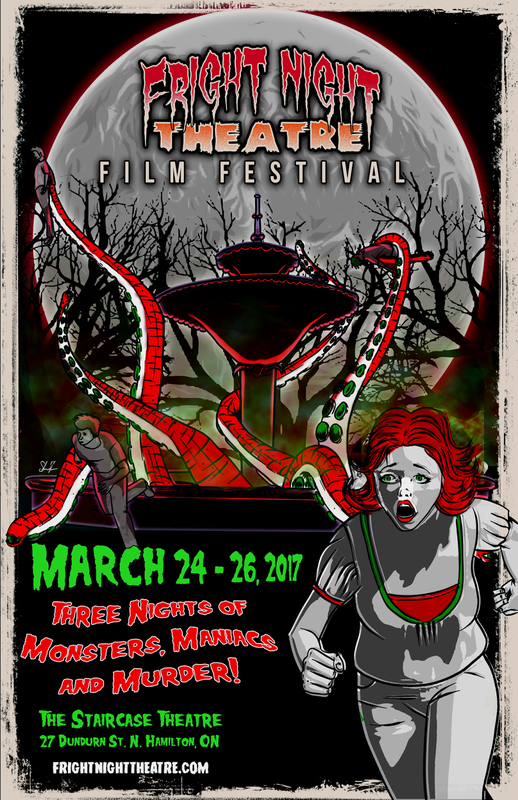 The 2017 Fright Night Theatre Film Festival returns to the Staircase Theatre March 24-26 for three nights of cinematic monsters, maniacs, and murder. 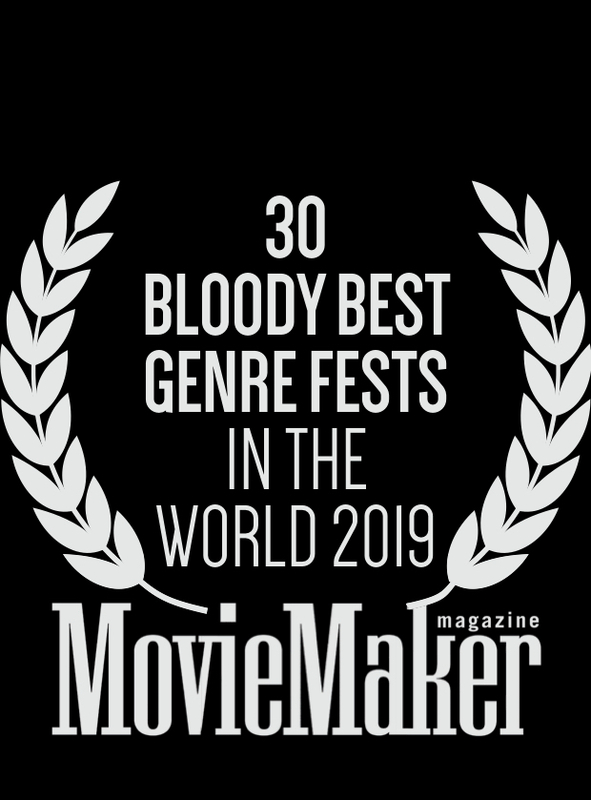 Official selections are expected to be announced the week of February 18th with festival passes becoming available soon after. 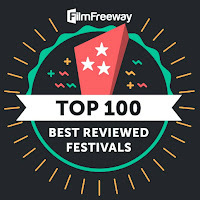 Filmmakers interested in being considered for the festival still have time to take advantage of our late deadline, which closes February 15th on Filmfreeway.com.